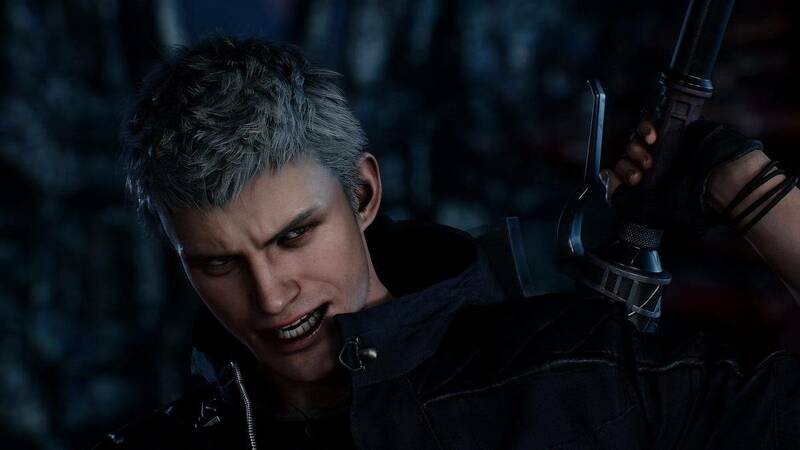 Devil May Cry 5 has been confirmed by Capcom and the release trailer was really intense which showed us the new characters in the game and unlimited demons. Devil May Cry is a hack and slash game in which you fight against unlimited demons till the end and it’s also been confirmed that demons are more than ever. It’s confirmed that we will play as Nero who’s seen in the trailer but what makes DMC unique is the inclusion of villains which are a lot more than that. Villains in Devil May Cry games play a big role, they keep you on the edge till the end of the game. We have seen Vergil is the past who has everything it takes to take down the demons or rivals in his path and he’s the twin brother of the main protagonist, Dante. Now what we don’t know is who’s going to be the villain in Devil May Cry 5. Everyone wants to see someone new to appear as the big enemy or at least someone who’s powerful enough to entertain us. According to one theory, It can be Strada. This theory tells us that Mundus has kept something behind his back which can be none other than him. Strada has worked for Mundus and not seen in the series before. It’s believed that Mundus controls him and if he really does, it’s believed that he can definitely send him to invade red grave and gain power from the blood and rise back from hell. Though Sparda has not been seen before it’s all mystery where he is or what really happened to him. Dante is the son of Sparda and Sparda is the brother of Mundus. As long as it’s connected to Mundus and Strada it’s confirmed that it’s going to be an epic journey in the game. It’ll be a good way to end the confusion by sending son against his own father. Sparda is a legendary figure and it’s been some time we didn’t get to see someone appear out of nowhere in the game. Other than that, fans want Vergil but it’s not all that. If you look closely at the trailer, it shows Nero getting his arm cut off and someone appears which looks a lot like Vergil. So Vergil cutting off his arm makes sense as he’s appeared as an enemy before in the game. No matter who this villain is, we are sure Capcom has planned something big for all Devil May Cry fans when it releases in 2019.
Who do you think this villain will be? Let us know in the comments below.